Watseka Police responded to a report of an abandoned bicycle in the 300 block of E Ash at 7:13 A.M. on 09-25-18. Watseka Police responded to a report of a domestic In the 500 block of E Lincoln at 9:27 A.M. on 09-25-18. Watseka Police responded to a public service complaint in the 100 block of E Walnut at 11:40 A.M. on 09-25-18. Watseka Police investigated a reckless driver in the 300 block of W North at 3:28 P.M. on 09-25-18. Watseka Police responded to a report of suspicious circumstances in the 200 block of N Brianna at 6:15 P.M. on 09-25-18. 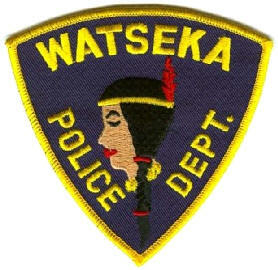 Watseka Police responded to a report of a suspicious person in the 400 block of N Market at 7:16 P.M. on 09-25-18. Watseka Police Investigated a suspicious person in the 300 block of E Walnut at 1:12 A.M. on 09-26-18. Watseka Police responded to a report of a disabled vehicle on the 400 block of Veterans Parkway at 1:45 A.M. on 09-26-18. Watseka Police responded to a domestic in the 200 block of N Fifth at 4:26 A.M. on 09-26-18.